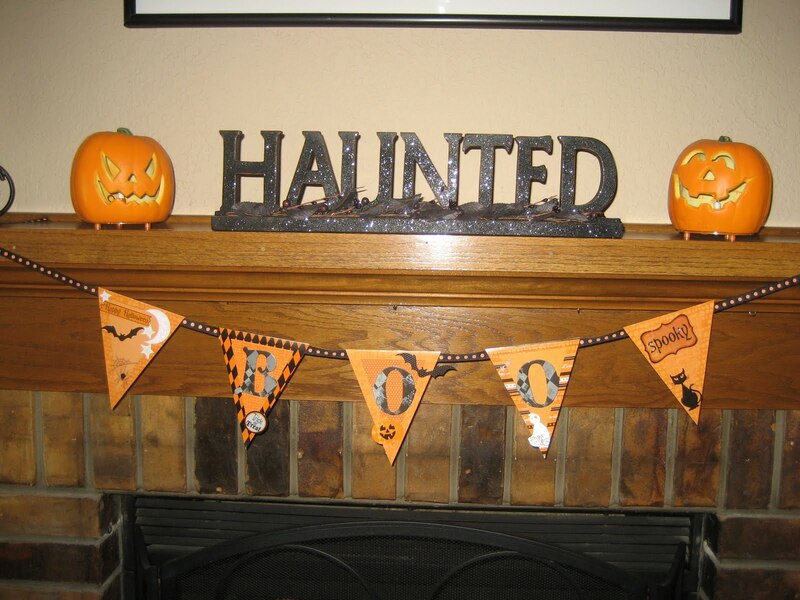 On behalf of the first day of FALL I thought I would share some of my Halloween/Fall decor with you (get excited)…. we only got to decorate the inside last weekend and I hope this coming weekend I can do something with the porch if this rain stops! This is our mantle and I got the glittery Haunted sign at Hobby Lobby (on sale), the two pumpkins light up and I made the fun BOO banner!!! Below in the fire place with the candles we already have in there I added some leaves & pumpkins!!! 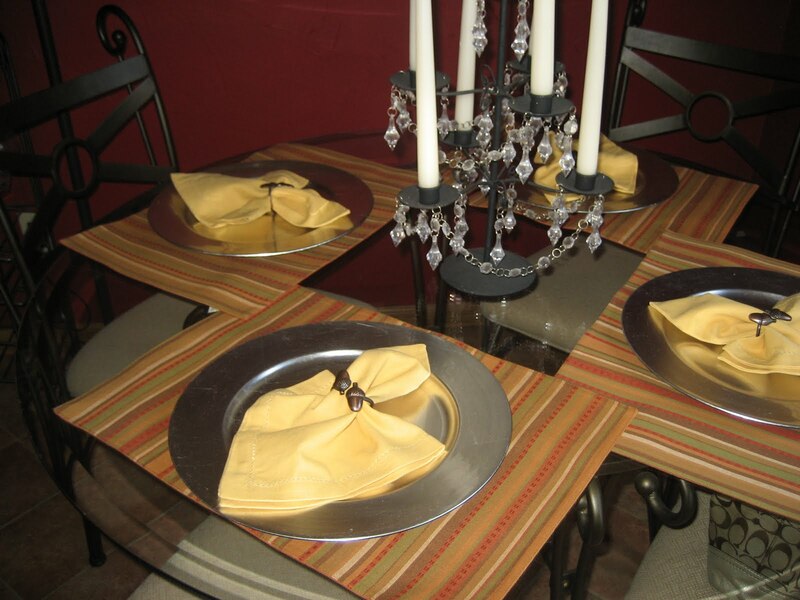 I was very excited to put out some new linens on our small table, this fall look I as a shower gift for the wedding from a friend of my mothers! Yes, I only have charger plates out because I don’t have enough plates to just hang out on the table! haha we use ours! My mother in law gave me this for Christmas 2 years ago and I also have a matching iron pumpkin candle holder that sits on my fire place!!! Ok, so for my Scentsy party on Sunday we did a fall theme and I made these Semi-Homemade cupcakes and they were a HUGE hit! 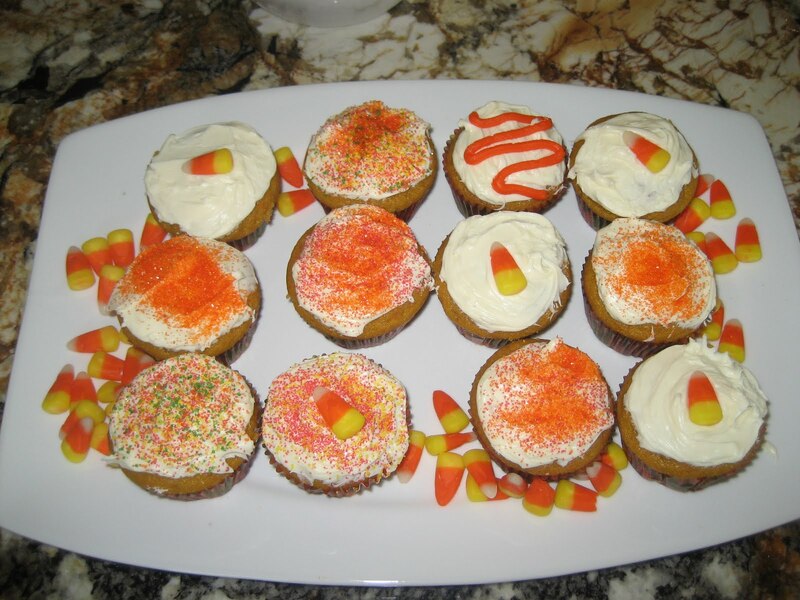 They were so moist and yummy I can’t wait to make them again, they were so easy here ya go…. -Get a yellow cake mix and make as directed the only exception being substitute (1) 15oz. can of pumpkin pie filling for the water. – Divide evenly in cupcake liners and then bake for 18-22 min at 350! – the icing is just the pre-made Cream Cheese Icing! 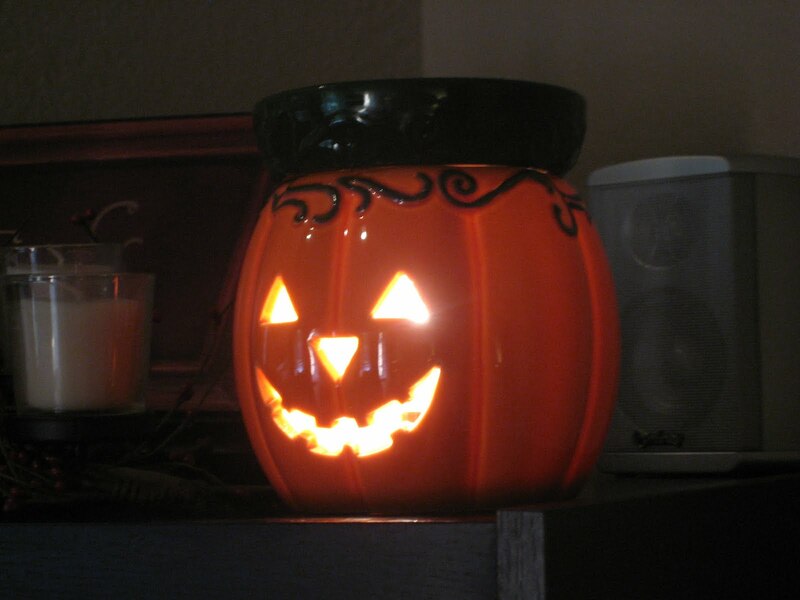 Now for some business………… this is the Scentsy Jack O’ Lantern (bad pic) warmer that is on the right said of the blog as well! 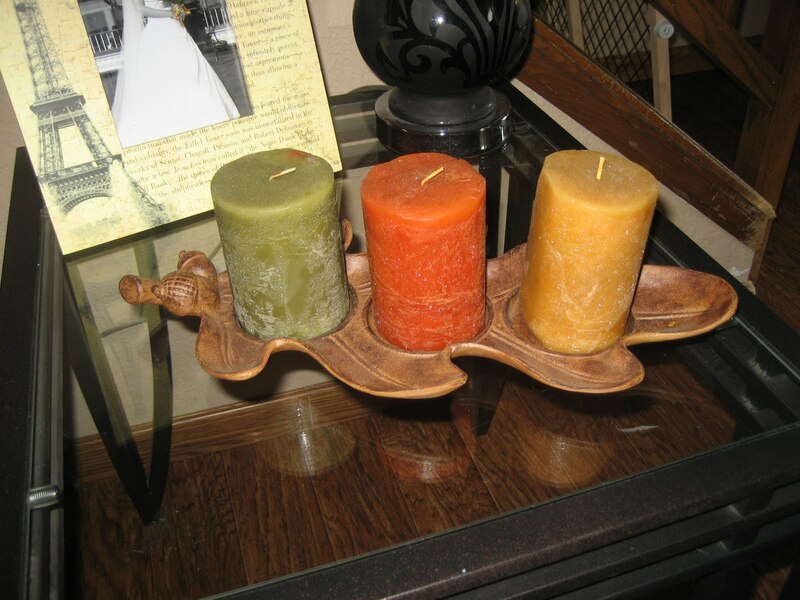 I love it, and it has been Scentsy’s biggest seller to date and in fact is back ordered until NOV! BUT I have pre-bought 4 warmers and they are on sale for $27!!! I will ship it to you………email me at savy.savage@yahoo.com if you are interested!!!! It is a cool day here in OKC, I hope everyone is enjoying the first day of fall!!!!!!!! I love all your decorations…I'm gonna get mine out SOON!! I'm also gonna try your cupcakes…yummy!! Those cupcakes sound yummy!I do a cake with just white cake mix and a can a pumpkin pie filling. No egg or anything. So thick and tasty! Esp with cream cheese icing. Everything's better with that on it!